The Algerian Minister of Religious Affairs has denied discriminating against the country’s Christian minority by ordering the closure of several churches in recent months. 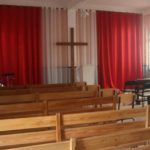 The latest church closures took place last week, as two churches were sealed by police in the north-western city of Oran. A week beforehand, two more churches received a notification to close in the eastern city of Tizi Ouzou, while in November another church was closed down in Aïn Turk, 15km from Oran. Mohamed Aissa told Ennahar TV that the churches “did not meet the standards required of a place of worship”. “The institutions that were closed have been closed down because they were built without complying with the regulations of the Republic,” he said, adding that if a building lacks emergency exits, it must be closed, “even if it is a mosque”. “When a place of worship is built without any notice showing it’s a place of worship, which may enable the state to protect it, this place must be closed,” he added. In response, a spokesperson from the Protestant Church of Algeria (known as EPA, its French acronym), told World Watch Monitor “the government is simply implementing the 2006 law of regulating non-Muslim worship. This law is a Sword of Damocles suspended above the churches. It is the legal instrument that the government uses to silence the Church. The purpose of this law is precisely to curb the activities of churches and to control them”. “The content of this law focuses on the coercive side, conviction and sanction. This 2006 law was not aimed at helping Christian communities to comply with standards or to regularise themselves,” added the spokesperson, who did not wish to be named. The minister stressed that Algeria’s constitution guarantees freedom of religion. However he also said that the state is responsible for the religious practice of non-Muslims. This was regulated by a 2006 law. Following implementation of this legislation, 26 churches had to shut their doors in 2008 after receiving an official written order or verbal warning from authorities. 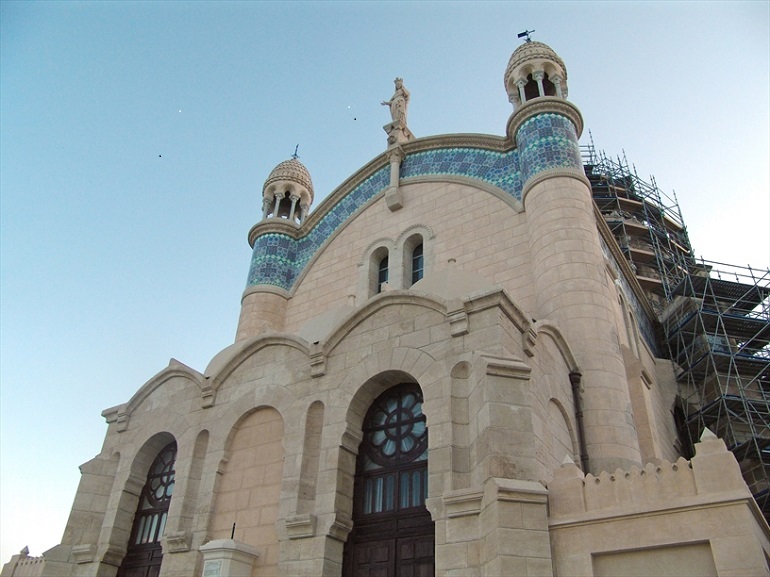 In May 2011, the governor of the north-east province of Béjaïa invoked the law to order the closure of seven Protestant churches accused of operating “illegally”. However, as a result of pressure from the EPA and a wave of protests from activists and human rights groups, the mayor withdrew the order. The law stipulates that permission must be obtained before using a building for non-Muslim worship, and that such worship can only be conducted in buildings which have been specifically designated for that purpose. But in practice, the authorities have failed to respond to almost all applications from churches for places of worship, including churches affiliated with the state-approved EPA, Algeria’s main Protestant body. In view of the authorities’ failure to respond to applications, it has become standard practice for churches to rent premises and inform the local authorities that they have done so. World Watch Monitor reported in 2016 that of the 43 local churches then affiliated with the EPA, only 15 owned their places of worship. Some churches either rented premises, which they turned into places of worship, while others gathered in homes. In some remote areas, Christians met in the forest or on the top of mountains to avoid hostile reactions from neighbours. The EPA released a statement yesterday (8 March), expressing “deep concern” following the recent closures and saying “the threat of closure weighs on almost all EPA communities”. 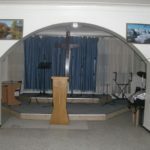 Advocacy group Middle East Concern said earlier this year that the closures were part of a “coordinated campaign of intensified action against churches by the governing authorities”. And last week the World Evangelical Alliance’s Religious Liberty Commission called on the government to ensure religious freedom for people of all faiths. The EPA also denounced “intimidation of any kind” against its members, saying there have been reports of false accusations and interrogations, as well as the closure of a Christian-owned bookstore in Oran. Of the 45 EPA-affiliated churches, 25 have been visited since December by a committee of officials from the Ministry of Religious Affairs, national gendarmerie, intelligence department and fire brigade. The churches were informed that the visits were aimed at checking compliance with safety regulations, and they were given three months’ notice. They were also advised to seek permission from the Ministry of Religious Affairs. However, the EPA said the closures were “unjustifiable”, as all the churches were registered with the EPA, which has been officially recognised by the government since 1974. Algeria has an estimated population of 40 million and more than 99 per cent are Sunni Muslim. Christians, together with other groups like Jews, Ahmadi Muslims and Shia Muslims, make up the remaining less than 1 per cent of the population. According to the Christian charity Open Doors International there are approximately 68,500 Christians. Among them are many expatriates, while others are typically converts from a Muslim background. The Maghreb country is 42nd on the 2018 Open Doors World Watch List of the 50 countries where it is most difficult to live as a Christian.